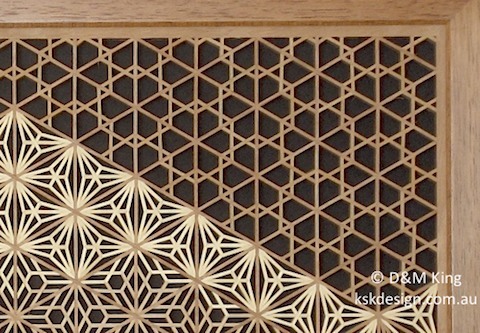 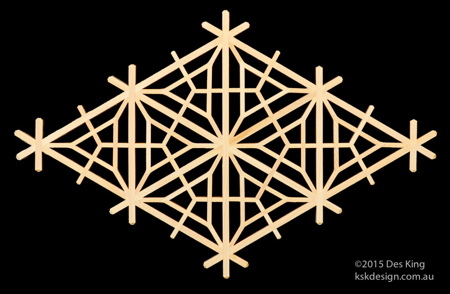 Kuruma is Japanese for vehicle, or in this case, wheel, and when this pattern is cut accurately, it forms a nicely shaped wheel (kikkō simply means hexagonal (tortoiseshell) pattern). 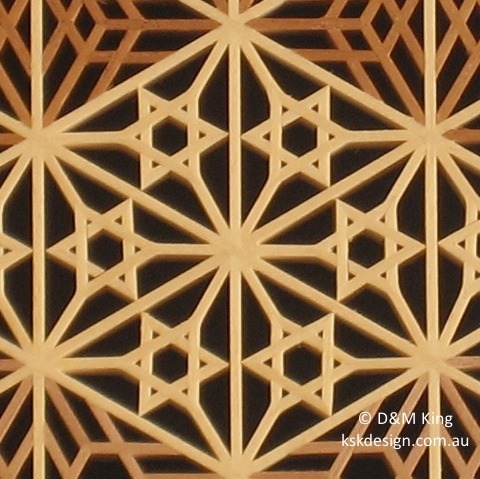 This is one of the many patterns for which there may be some dispute about the name. 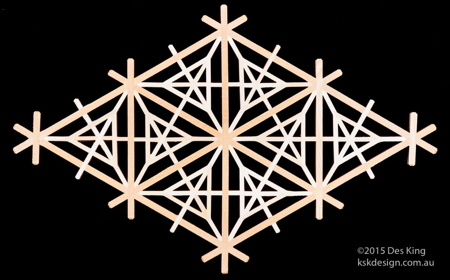 One of the tategu books I have published in the 1950s by the Japan Tategu Craft Institute shows a slightly different pattern for the kuruma kikkō (though with the same wheel or circle effect), but the one here has today become quite a common pattern, and is now regularly referred to as kuruma kikkō. 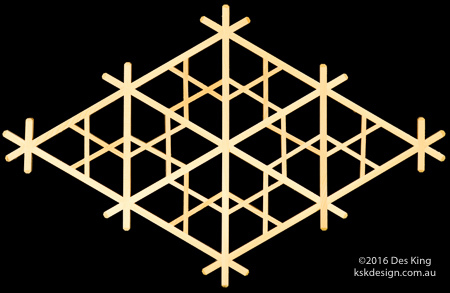 The kuruma kikkō is quite often used as a background pattern. 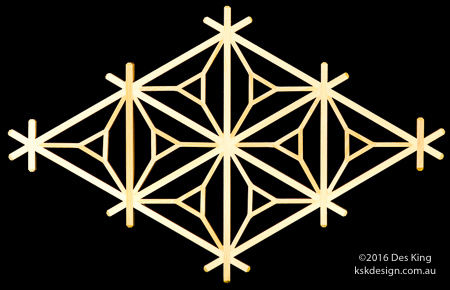 Kikyō is the Japanese word for bellflower. 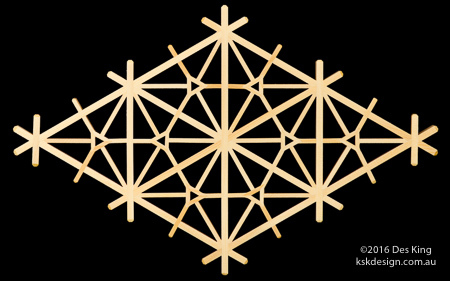 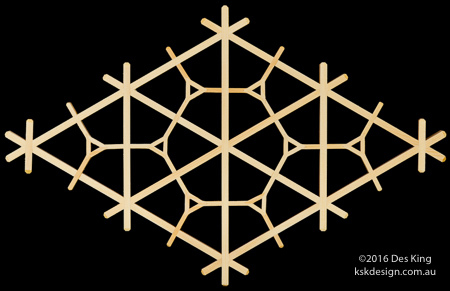 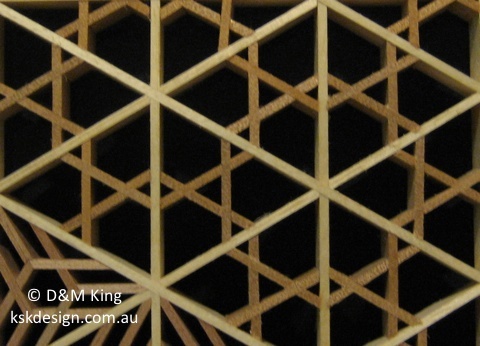 In its simplest form, the kikyō pattern consists of a single triangle held with three locking pieces connecting the vertices of the jigumi to the external vertices of the central triangle piece. 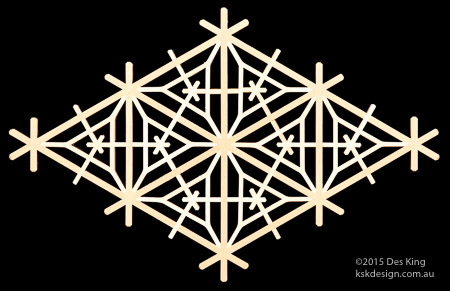 The yae kikyō asa-no-ha, on the other hand, is a very complex and difficult pattern. 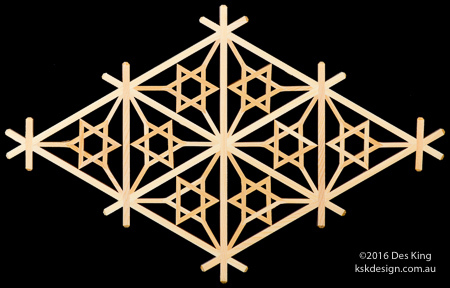 Essentially, it's a kikyō with an additional intersecting triangle to form a hexagram (Star of David).